According to a recent report, Malaysia recently unveiled a plan to boost its manufacturing sector through technology, hoping to attract investment in high-tech industries to counter slowing economic growth. The National Policy on Industry 4.0, named Industry4WRD, will support efforts to rely more on technology, and less on capital and labour, to increase productivity. In the draft, National Industry 4.0 Policy Framework, the largest driver for the new Industrial Revolution will be technological advancement. 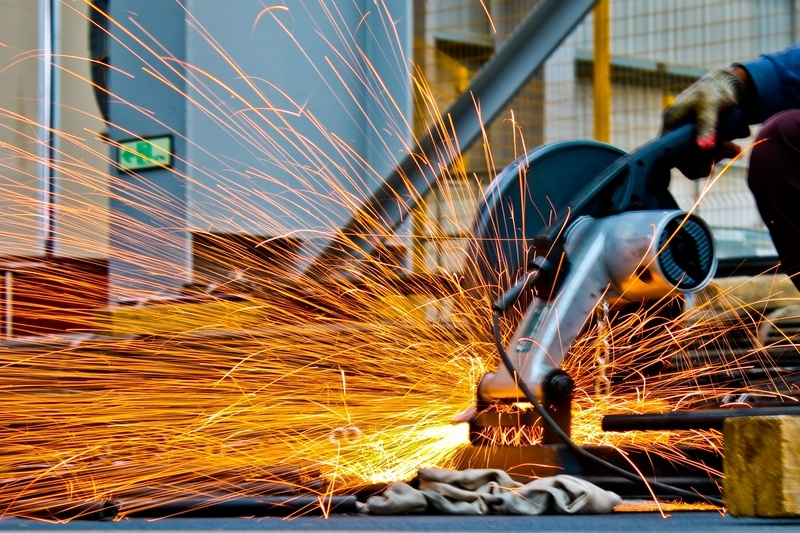 At the heart of Industry 4.0 are a set of rapidly evolving and converging technologies. These are pushing the boundaries of what can be manufactured through additive manufacturing and advanced materials. These technologies are enabling richer insights through big data analytics. They are blurring the lines between physical and digital realms through rich simulations and augmented reality. They are enhancing human capacity through artificial intelligence and autonomous robots. The report noted, that the world is seeing a shift in the way information technology is being used through cloud computing, system integration, and the Internet of Things (IoT). Many of these technologies have been around or under development for several years. However, the interaction and resulting convergence of these technologies are creating an unprecedented pace and breadth of impact. Completely new industries may be created at these intersections. Thus, these are loosely termed as Industry 4.0 technologies. The image shows an overview of these technologies and their impact on manufacturing. 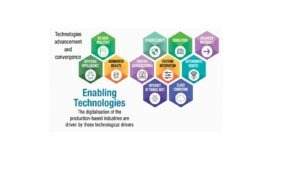 According to the framework, the digitalisation of the production-based industries is driven by the technological enablers shown above. According to the industrial policy blueprint, the Malaysian government’s support will instead come in the form of collaboration via public-private partnerships and investment-friendly taxes. Plans to propel the economy forward by attracting skilled talent via job creation, upping productivity and raising innovation are not new. During his first tenure as prime minister from 1981 to 2003, the Prime Minister had put forward Vision 2020, a roadmap for Malaysia to achieve developed nation status by 2020. Acknowledging the setback that the country underwent over the ten decades, it is imperative for the nation to work even harder and strive with even greater tenacity, greater creativity and effectiveness to ensure very rapid and sustainable growth, the Prime Minister urged. Malaysia’s skilled labour as a proportion of the workforce has declined since 2010, dropping by one percentage point to 18 per cent last year. For skilled workers within the manufacturing sector, the government intends to nearly double the number from 18 per cent to 35 per cent by 2025. This new industrial policy hopes to raise the manufacturing industry’s contribution to the economy by 54 per cent to reach RM392 billion by 2025. That also means productivity needs to increase by 30 per cent. The Prime Minister made note that it is the manufacturing sector that allows Malaysia to consistently demonstrate dynamism and resilience to grow while attracting foreign direct investments. Other recommendations in the policy report include digitising government processes, sourcing government-led and private funds and introducing high-speed broadband nationwide – especially in industrial areas. In his speech, the leader noted that the policy envisions Malaysia as a strategic partner for smart manufacturing, the primary destination for high-tech industries and total solution provider for the manufacturing sector and services in the region.